“The Mayberry Deputy,” “Abe Lincoln,” and “Ebenezer Scrooge” are just a few of the aliases of David Browning from Bristol, Virginia. 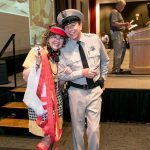 As an impersonator, improvisational master and speaker, Browning uses costuming, gestures, facial expressions, and audience participation to bring out the flavor of the characters and to provide an atmosphere of good, clean fun. He provides a bit of Americana which is worth preserving and celebrating. Browning hired The Dillards, known to watchers of “The Andy Griffith Show” as the “Darling boys”, to play bluegrass music in Bristol, Tennessee. 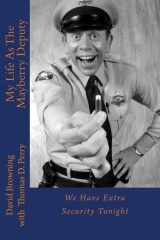 Browning, who started out in community theatre, put together a “Barney Fife” type act based on a sense of recall (since Browning has seen all the Mayberry shows at one time or another) which made that first performance a hit. At that time, he discovered that he could make a statement as David Browning that was not funny at all but the same statement made in uniform as “The Mayberry Deputy” had audiences falling out of their seats. Soon after, Browning was asked by “The Andy Griffith Show” Rerun Watchers Club (TAGSRWC) to perform at a Mayberry Reunion held at Opryland in Nashville, Tennessee. TAGSRWC founder, Jim Clark, saw Browning’s act and began mentioning his name across the country. 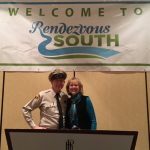 Browning has been embraced as “The Mayberry Deputy” by small and large groups in 35 states with continued referrals and request every where he goes.